What’s included in my volunteer contribution? * If your project is within Thailand we provide your first nights accommodation in Chiang Rai. **Local airport in Thailand is Chiang Rai, in Kerala it is Trivandrum and in Sri Lanka it is Colombo. Nb. This contribution does not cover return flights from UK, visa costs or any accommodation / food expense incurred at weekends or away from project during independent travel. Nb. A volunteer’s insurance cover runs from up to 2 weeks in addition to the project duration. Any additional time spent overseas must be covered by the volunteers own personal travel insurance. 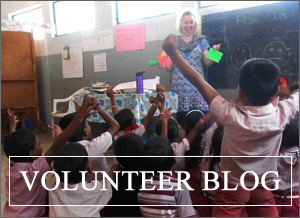 ← PREVIOUS POST : Why can’t I volunteer in India for more than 5 months?